Leaked photos of the HTC Desire 628 have surfaced thanks to a new leakster @the_maligant. We can also take a look at the specs of the company's upcoming mid-range smartphone. The Desire 628 will feature a 5" display of 720p resolution with what appear to be BoomSound speakers surrounding it from the top and bottom. The plastic unibody is housing a MediaTek MTK6753 chipset with a 1.3GHz octa-core CPU and 3GB of RAM. At the back, there's a 13MP sensor with f/2.0 aperture and a 2,200mAh battery. The front-facing camera is 5MP and the phone will have dual-SIM support. Finally, internal storage is 32GB with a microSD card slot for further expansion. 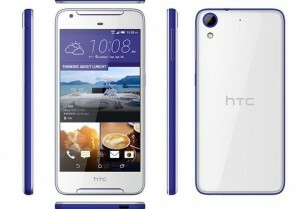 The phone looks like a scaled down version of the recently announced HTC Desire 830. Information regarding pricing isn't available yet. 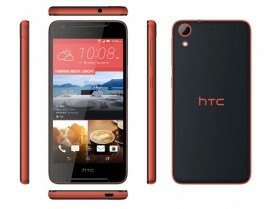 We suspect HTC won't take long to make the Desire 628 official. every one knows mediatek is cheaper and not realible as compare to qualcom .....these devices has poor battery performance and devices heats too much . HTC, stop MediaTek processor this is too much and focus to best quality camera.